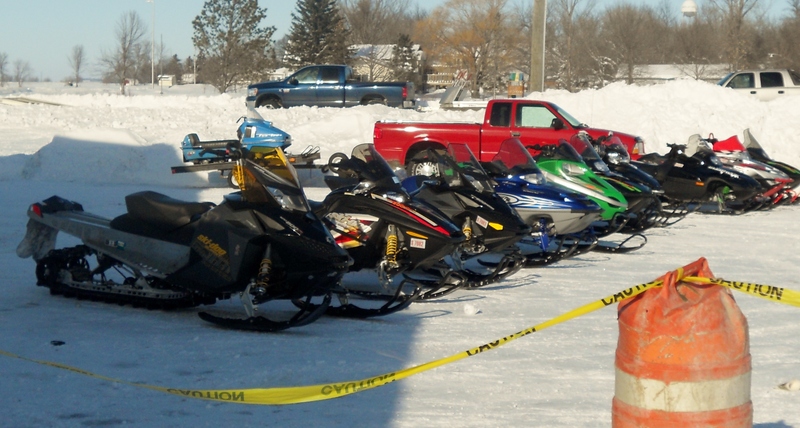 More than 100 riders and 14 vintage sleds took part in SnowJam 2011 yesterday (Jan 22). 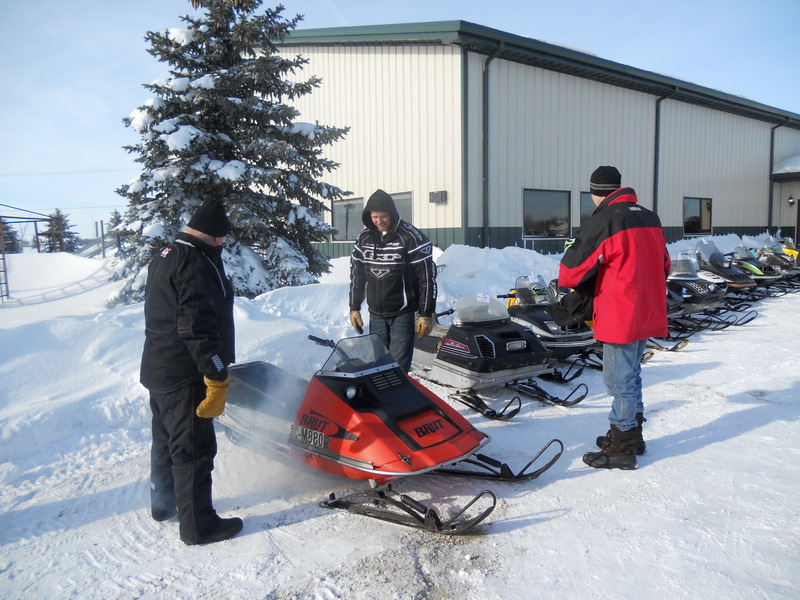 With temps below zero, riders braved the cold to head out to about 19 trail stops along the Rural Cass Snowmobile Club trail. Buf Hovelson of Lake Park, MN, took home the Best of Show trophy in the vintage snowmobile display with his 1970 skidoo 640 TNT. Winner of the People’s Choice trophy was Jerry Perkins of Valley City with his 1976 Arctic Cat Z440 racing sled. Les Heuer rode his 1981 Arctic Cat Pantera to SnowJam from his home in Leonard, ND. He was also one of several riders in the Ryan Mayer Vintage Snowmobile Ride. Club members wish to thank all the riders in the event, which is one of the key fundraising events of the year, allowing more grooming to take place on the trails. In addition, thank you to the local businesses who sponsored the event. A special thanks to Titan Machinery of Casselton and Arthur for helping out by providing a quad track to use for grooming when the club’s groomer needed repair. Some pictures from SnowJam have been posted on the SnowJam Facebook page. Some will be posted on the SnowJam website soon. Hope to see everyone next year at SnowJam 2012! ← Hope to see you this weekend at SnowJam 2011!